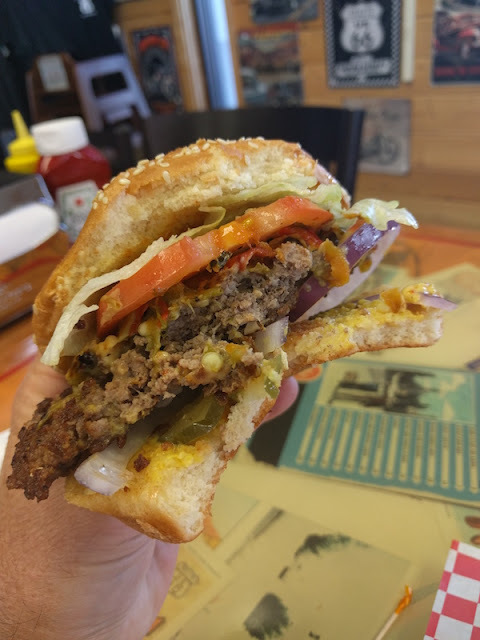 I'm still on the Green Chile Cheeseburger trail in New Mexico. 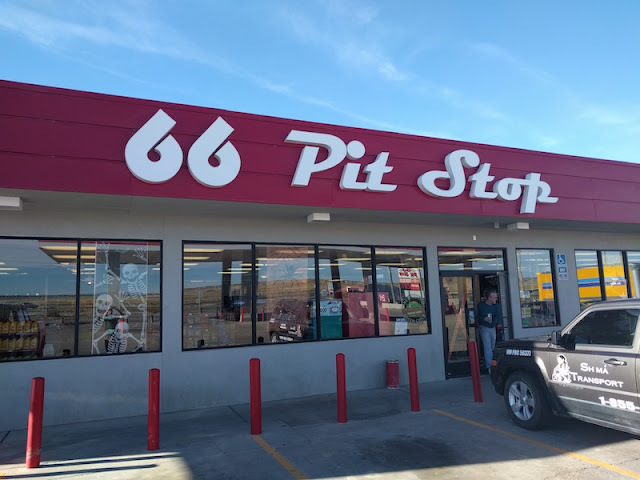 Right off of Interstate 40 just west of Albuquerque is the 66 Pit Stop where you can find the Laguna Burger. Find out what I think and see more pictures after the jump. It's cooked to order, and it's big -- half a pound of fresh hamburger. 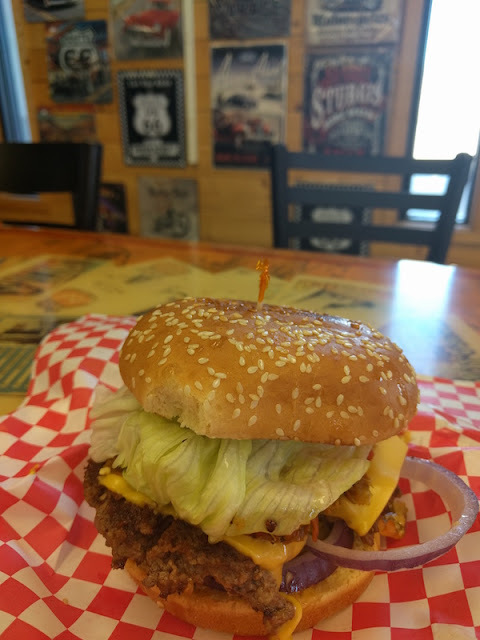 The Laguna Burger is a green chile cheeseburger with American cheese, lettuce, tomatoes, big slices of fresh onions, pickles, and mustard. The green chiles are mild and sweet, but maybe just a little spicier than some other green chile cheeseburgers. It's big and delicious. Definitely worth a stop if you are near Albuquerque. A lot of people ordering when I stopped about a month ago. The wait was well worth it. The green chili not too hot and fries were great. The 5 hour drive would be worth to get a burger and do some shopping in Albuquerque at the same time.